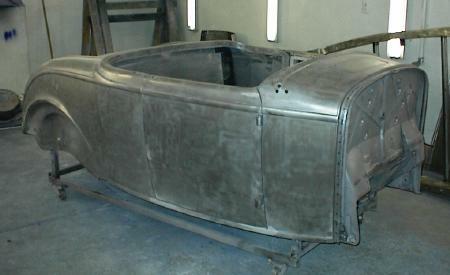 The Roadster has been completely blown apart for painting and detailing. The body just returned from being media blasted. Some finished work needs to be done on the firewall and floor before being mounted on the frame for body work. Still a lot of work to be done, but at least we're on the downhill slide.